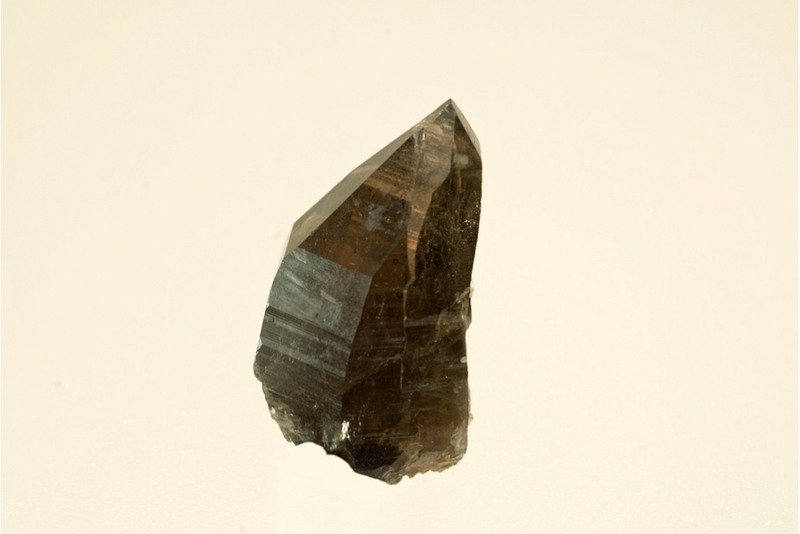 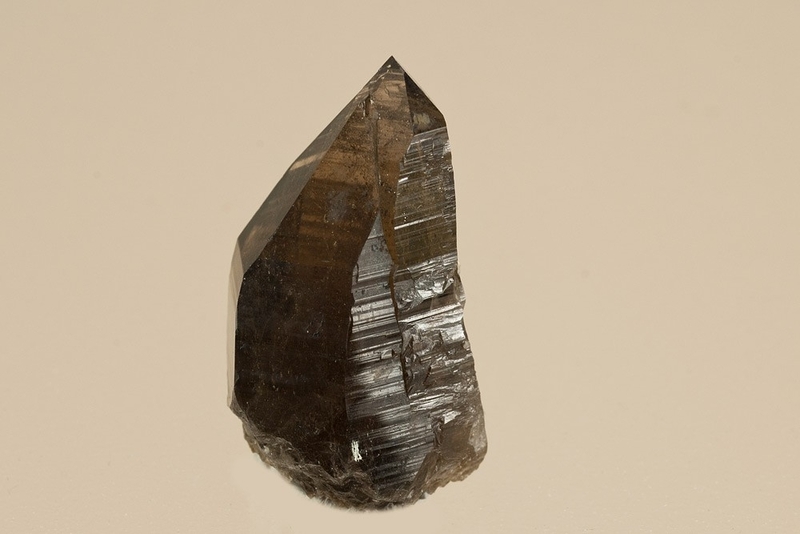 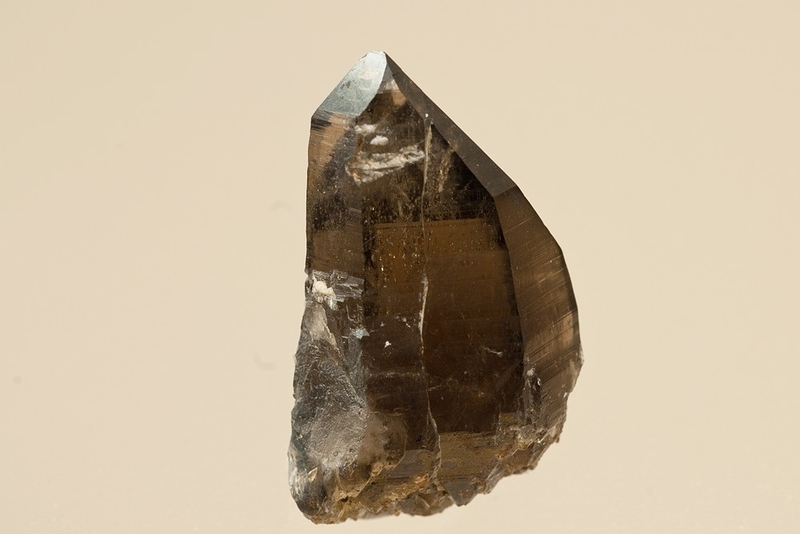 A pretty smokey quartz from a contemporary discovery of a quartz and feldspar pocket on the Isle of Arran. 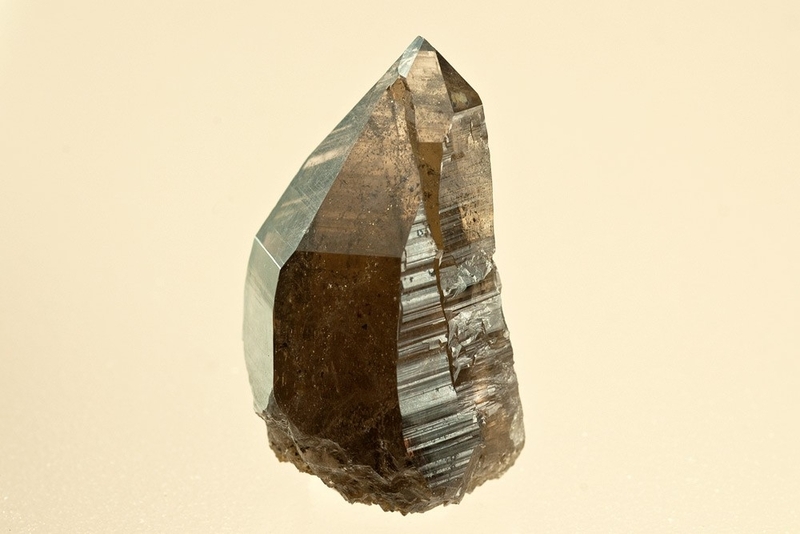 The faces are sharp with striations on the side faces and the crystal has a high degree of transparency. The termination is unusual being offset from the main crystal appearing to form a double crystal.